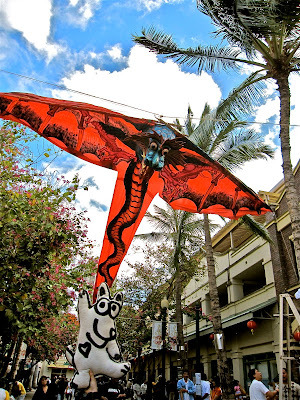 Look for dragons everywhere when you visit Honolulu's Chinatown. And do you know why the Chinese people love dragons? They believe the dragon spirals up to the sky and brings down rain for the crops so everyone has plenty to eat! Lots different from European dragons, don't you agree?